DONETSK, August 31. /TASS/. Deputy Prime Minister Dmitry Trapeznikov has become Interim Head of the self-proclaimed Donetsk People’s Republic (DPR) in accordance with the Constitution, officials in Donetsk said following emergency government meeting after Alexander Zakharchenko’s assassination. "The territorial defense headquarters has made a decision. 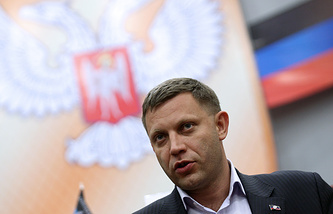 In connection with the tragic death of Alexander Zakharchenko, to vest powers of the DPR head in Trapeznikov Dmitry Viktorovich," Trapeznikov himself read out the decision after he was introduced to reporters by Speaker of the DPR People’s Council Denis Pushilin. 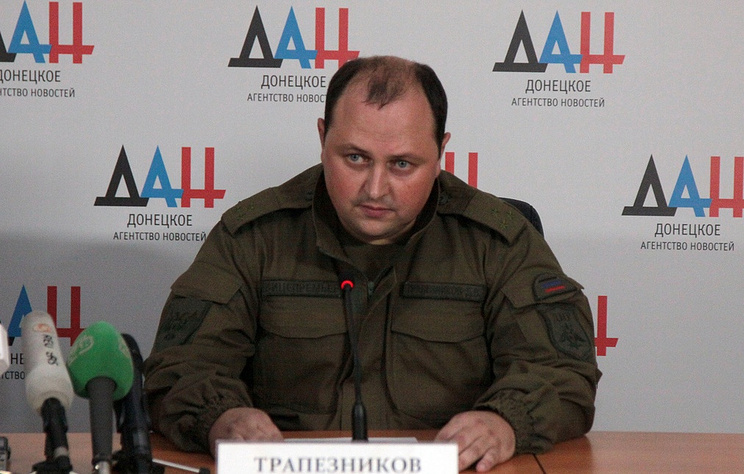 Article 62 of the current version of the DPR Constitution states that, in the event of early termination of powers of the head of the Donetsk People’s Republic and in cases when the head of the Donetsk People’s Republic temporarily cannot perform his duties, they will be temporarily performed by Deputy Chairman of the Donetsk People’s Republic’s Council of Ministers.